So, you have made a horrible mistake, we all do sometimes! 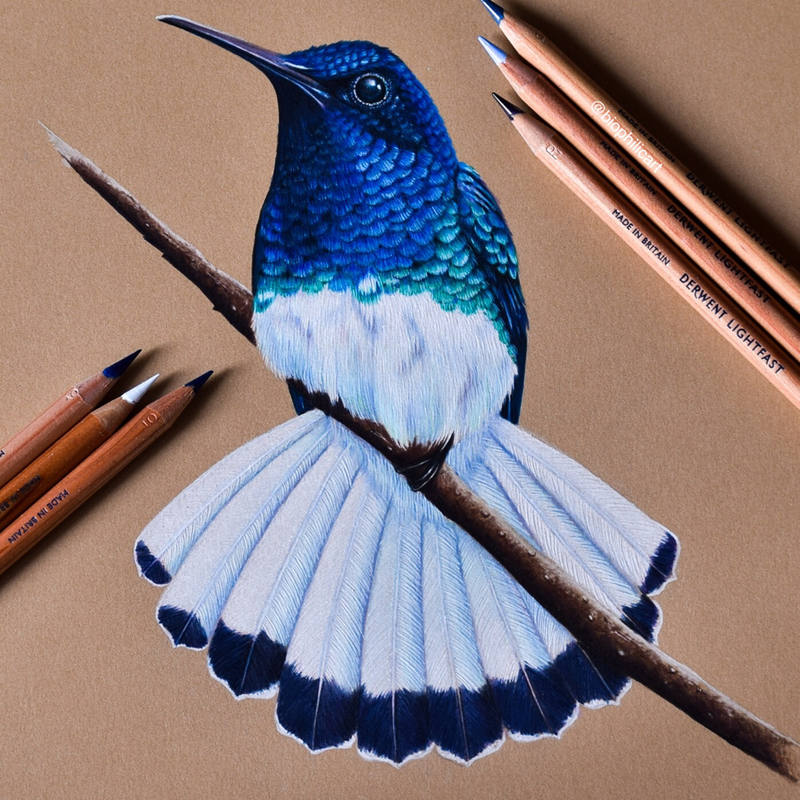 And you will find out immediately that colored pencil is not that easy to erase! Sometimes an error simply cannot be erased completely and the only thing to do is to try and incorporate it into your design or to begin again. So, never experiment with a piece you have spent many hours working on. Save experimenting for practice pieces. Be as careful as you can. The fewer mistakes you make the better. But however careful we are, we all do something and wish that we could undo it. 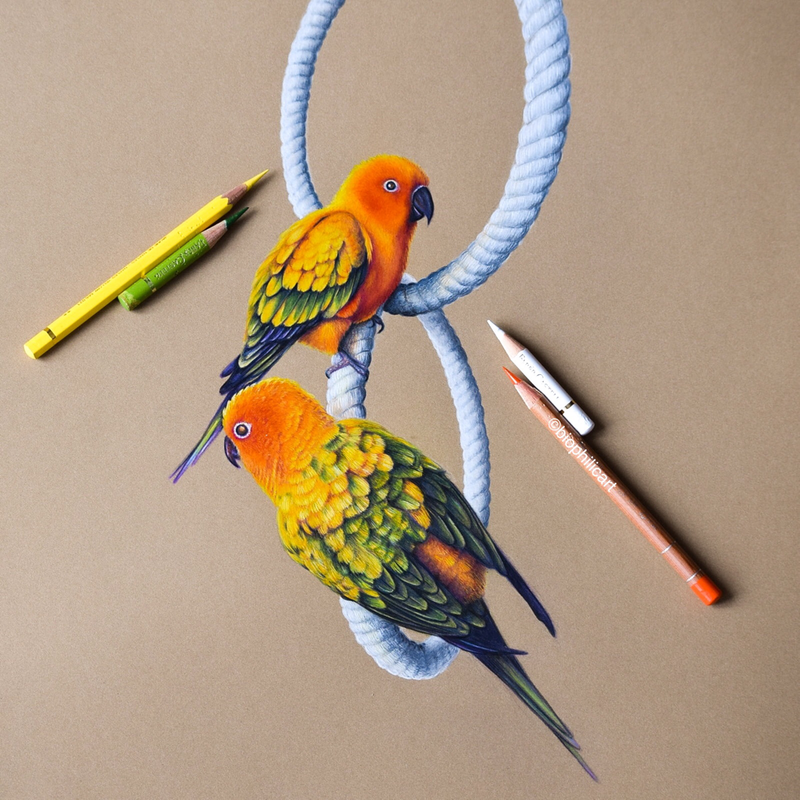 I don't know many colored pencil artists who will say they can completely remove a mistake, but it can nearly always be removed enough to layer new color over it. l have tried many types of eraser and now use only three types of eraser and my favoured method (which isn't actually an eraser at all but works very well). l have a putty eraser/kneaded eraser (don't go buying expensive ones though, these are simply 'Blue Tac'), they remove some of the color, if it is in a light layer, but not much, l really only use this for cleaning pencil dust as l go (and they are brilliant at that). The first eraser that l use all the time is the Faber Castell ink eraser, I personally find the one with the pink erasing core works far better than the one with the white core. The white core seems rougher and can sometimes damage the surface of my paper. The pink cored one also seems to remove more color. Neither remove color completely, but usually enough so that l can work over the error and it will no longer be seen. The second eraser in daily use is the Tombow mono eraser. This looks like a pen and you buy refills for it. There are two different cores you can buy. I buy the small round one which is great for getting into tiny spaces. None of these erasers remove much more than a light layer of color. If l need to remove more color or l want to get back to near white paper for highlights l use sticky tape/Cellotape/Scotchtape. Do try this on somewhere other than a piece you have spent hours on first though, because if you don’t have enough color on the paper or your paper is not good quality, you may nd up tearing your paper! To illustrate, imagine that l want to take some layers off the piece below, perhaps l want to change the colors or l have worked so many layers l can no longer get fresh color to stick. I use a small piece of sticky tape and lay it lightly over the area l want to remove color from. Next l take a pencil and rub over the tape where l want to remove color. (For creating whiskers or fur strands you can use a sharp pencil and draw on the tape the whiskers or fur strands), then carefully lift the tape and it pulls the color with it. 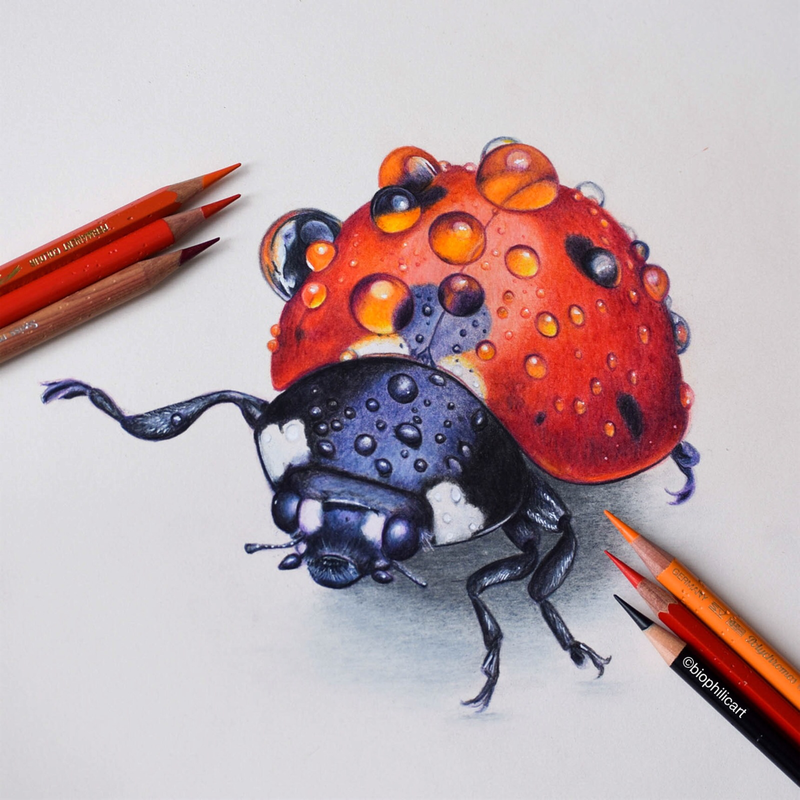 The harder the pressure of your pencil, the more color it will lift. But again, be careful or it could stick too hard and tear your paper. You can see in the picture below l have removed much of the color from this piece with a fairly light pressure. You can repeat this if enough color is not removed. This method will nearly always remove enough color to allow you to correct your mistakes. Again none of these methods will bring your paper back to its unused state, but l have always been able to rescue a piece using them.